Tis the season to give those you love gifts that they can truly enjoy. For people in the Scottsdale area, why not surprise them with a massage gift certificate. Or better yet, treat them to an entire day at the spa. Think of their expression when you present them with a package from Inspire Day Spa complete with massage, facial and tension melting body wrap. Not to mention, they can relax and enjoy the tranquility of the lakeside atmosphere as their cares just melt away. A massage gift certificate can be used anytime. For instance, if they want to wait until after the hectic holiday season, they can! They can use the gift card at their leisure and thus plan for the most convenient time to receive their massage. They can bring a friend or their partner. A massage gift certificate can be applied toward a couples massage. They will feel pampered and spoiled while savoring the moment with someone they love. Inspire Day Spa is one of Scottsdale’s premiere venues for all types of massages. We offer Swedish massage, deep tissue, a serenity massage, mommy-to-be massage, even bamboo massage. Plus, we have a gorgeous lakeside location which intensifies and enhances any massage experience. Sometimes they need an excuse to take a moment for themselves. People often give to others during the holidays, while ignoring their own needs and their own desires. 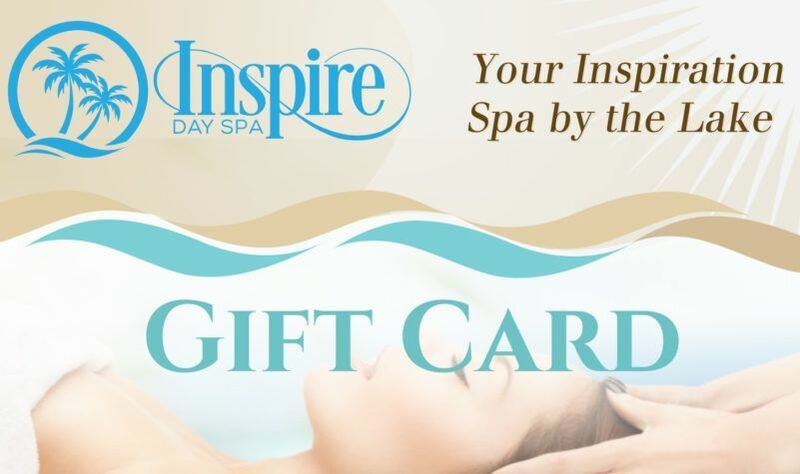 Why not show them with an Inspire Day Spa gift card that you care about their health and relaxation. That you want them to take a much needed break! It’s a reason for you to get a massage as well. Go along with them when they use their massage gift certificate! After all, you deserve a break from the hustle and bustle of the season as well.